Malawi Fundraising – we are always very grateful for the support from members of the community raising funds to help finance events that benefit the pupils. Staff are always looking for external sources to supplement this local fundraising. Examples of this are the grants obtained previously by staff for Comenius projects and the construction of the climbing wall. We have been successful in obtaining another £3000 to support our Malawi partnership. An application for Connecting Classrooms, compiled by Mr Hulme with Dr Caley’s help, has been successful. The £3000 will be available for visits by teachers between schools in the Malawi-Scotland Partnership. 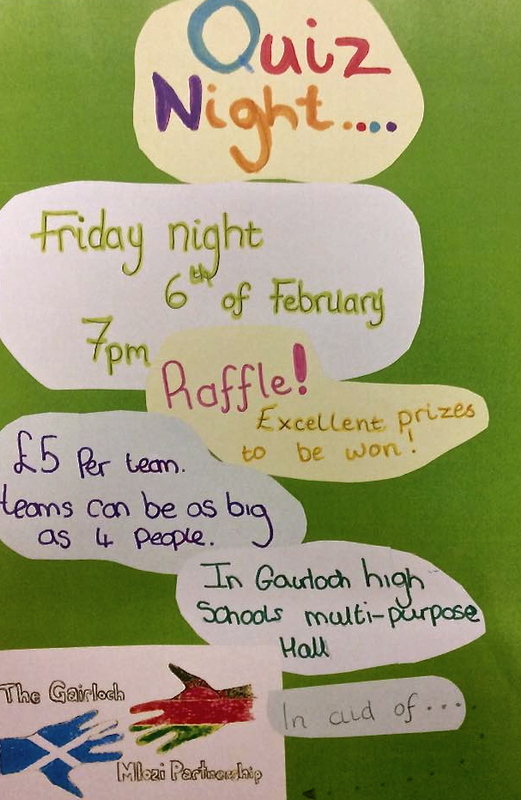 Malawi Quiz Night – S2/3 pupils are very busy at the moment, preparing for our next fundraiser. We are organising a fun quiz night on Friday the 6th of February starting at 7pm in the High School hall. Only £5 per team and there will be some great raffle prizes in store! Look out for the posters around the local shops and put the date in your calendar. FilmG Project – The Gairloch Heritage Museum recently contacted the school to see if they could enlist three young actors for a short film they had scripted and were planning to enter in the annual FilmG competition. Fluent Gaelic pupils in S1-3 had the opportunity to register their interest in this project. Max Conway, Iain Nelson and Sorley Street took part in the drama that was filmed at the Gairloch Museum on Thursday the 15th of January. The film will shortly be uploaded on to the FilmG website and we hope it does well in the competition. In the photograph above class members Chloe, Holly, Oscar and John Scott help load up the food along with class tutor Miss Thistlethwaite. Prelim Exams – S4/5/6 pupils should have finished their prelim exams by now. The pupils should be sharing results with parents. Reports for these important exams are being produced but take a while to publish. (S5/6 Reports issued 27th February and S4 Reports issued 9th March.) If any parent is concerned with the progress of their son or daughter prior to the Parent Evenings in early March please don’t hesitate to contact Pupil Support at the school for advice. 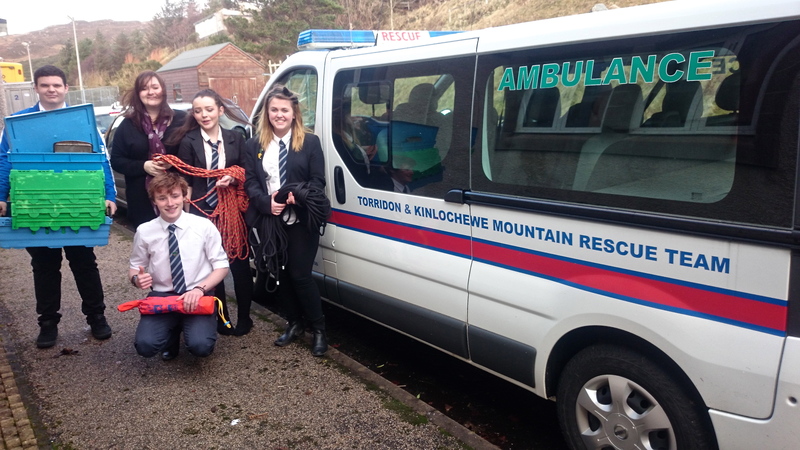 It’s that time again – the GRAND annual fundraiser for S1 Cairngorm Week and selected charities is coming soon – Each year, S1 pupils organise a Bring and Buy Sale in Gairloch Community Hall to raise money towards the costs of their outdoor activities week in the Cairngorms in May. Each pupil attends the residential week in May, which will be from Monday 11th to Friday 15th May this year, and the charge for the week is minimal. Most of the money required to fund activities, food and accommodation comes from the school fund and the profits of the Bring and Buy Sale. The Sale is organised by the S1 pupils themselves, with support from staff and parents, including the Parent Council. It is a valuable experience for the pupils in developing many skills, including those of teamwork and communication. In the past, this has been a very successful event, with tremendous support from families and the community. Pupils will be putting posters around the community soon! Last year we changed venue to Kincraig Christian Centre. This proved to be a great success. The building is maintained to a very high standard and central to the area where all of our activities take place. Important Dates – S1 Monitoring Reports issued on Monday 26th January. 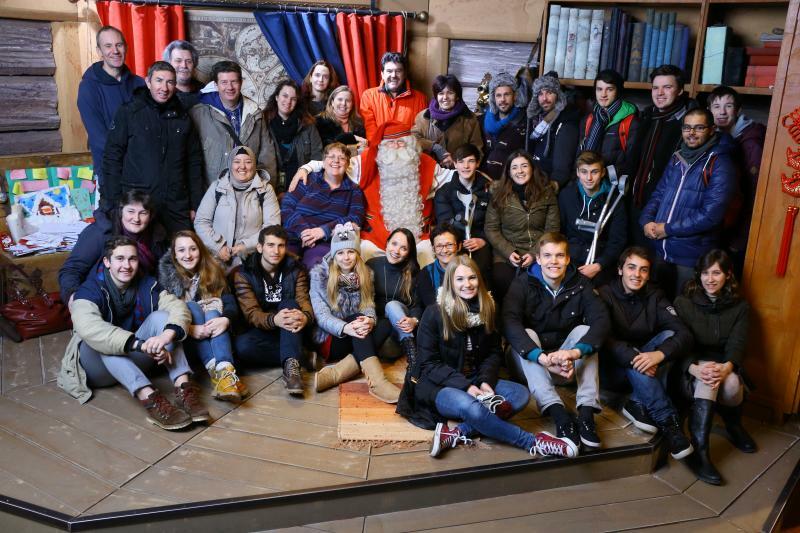 16th – 18th Feb pupils on holiday. More on website here. Duke of Edinburgh’s Award – Alasdair MacDonald, S4, and Kenneth MacKenzie, S6, received their Bronze Awards. Calum Nelson, S5 was presented with his Silver Award. Badminton Success – Nadia Fenton, S1, received a bronze medal at the Highland heat of the Scottish Schools Badminton Championships on Friday 12th December. Read about it here and see Nadia with her medal. Well-done Nadia! Comenius trip to Finland – On 7th December, Miss Hunter & Mr. Johnston, along with pupils Jordan Gorman, Joe Smith, Max Conway and Iain Nelson set off for Finland, as part of the school’s Comenius project. What a fantastic experience it was for all; the Finnish school & the community certainly know how to celebrate Christmas – decorated trees, buildings & candles were everywhere! Some highlights included a trip to the Northernmost Geopark in the world (Rokua), where outdoor activities had been arranged, and where the snow fell among the pine trees, enough for a snowball fight. However, the Finns explained that it wasn’t “real” snow until a metre had fallen. It was real enough for the Scots to enjoy. A whole day was spent travelling to the Arctic Circle, and a visit to Santa Claus Village. As for the Great Man himself, the photo shows the whole group from all 8 countries meeting him – what a privilege. Some folks also enjoyed a wonderful sleigh ride through the forest, complete with gently falling snow and reindeer. Pupils and staff made lovely friends during the week, and we are sure to continue these contacts for many years to come. We are going to do our best to give our Comenius friends the same kind of welcome and experiences when they visit Scotland next April. 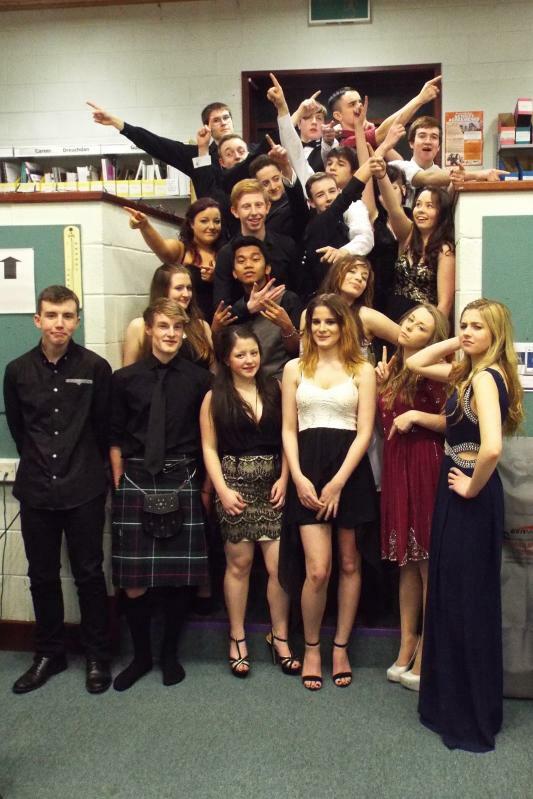 Christmas Dance – Thanks go to everyone who helped make this fabulous occasion possible – the list is long but the pupils appreciate it. Prior to the dance Mrs. Hildrey and other staff help teach and reinforce dance moves allowing S1 to S6 pupils to participate comfortably with reels, waltzes and jigs. The dance began with a performance by the Pipe Band and three Feis musicians provided the dance music. We are grateful for the continued support of the local garage for laying on transport to and from the dance along with additional minibus driving this year from Mr. Bowker. 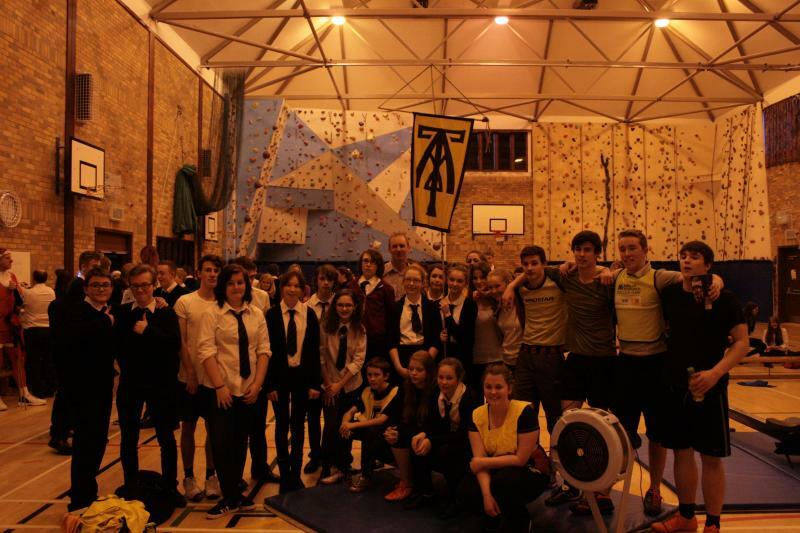 Photographs of this event can be viewed on the school website here. Krypton Factor, Indoor Rowing & School Quiz – We like to end the term with a variety of activities that are important educationally yet encourage a sense of community and challenge. Thanks to Mr. Hulme and Dr Caley the school quiz provides a challenge that all pupils can take part in. Pupils are mixed into teams and compete for House points. This year Maree won the quiz. 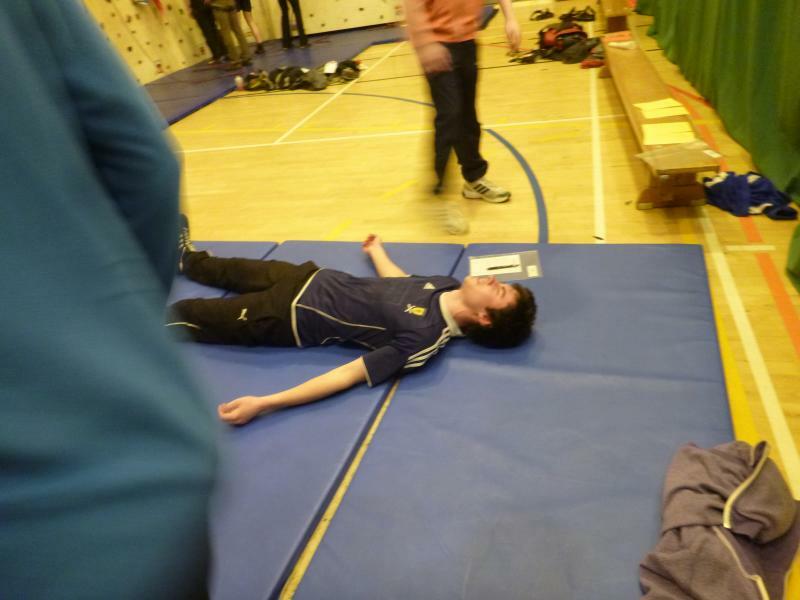 The pupils also took part in an Inter-House indoor rowing competition organised by Mrs. Johnston and her Activity Tourism pupils. 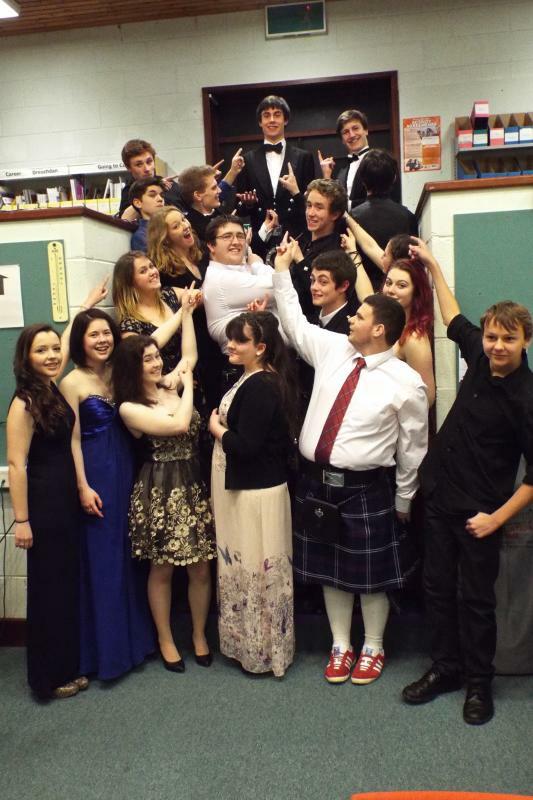 Tollaidh won this competition with the help of some powerful performances from both the senior teams. On the last day of school before the Christmas Holidays all the pupils took part in a Krypton Factor. Five activities organized to test physical and mental skills. Points are awarded to House teams and tallied. Maree won this year with Tollaidh second and Kerry third. Thanks to Mrs Macrae, Mrs Hildrey and other staff for organising and supporting this event. 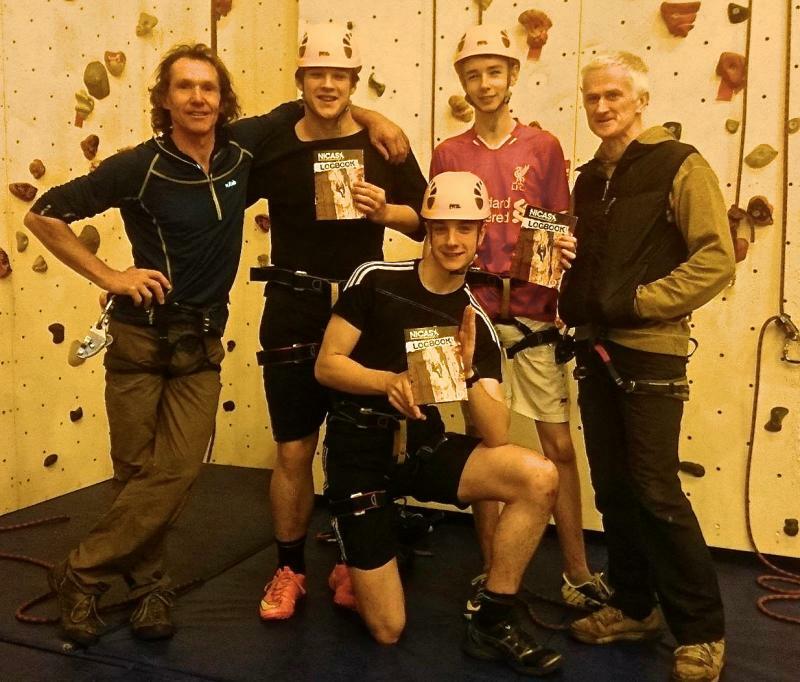 NICAS Climbing Awards – Once a week, Mr Sutherland and Paul Tattersall have been working with three pupils at Gairloch High School on the National Indoor Climbing Award Scheme (NICAS). Well done to S5 pupils, Connor Moore, James Aaron and Alasdair MacDonald for being the first Outdoor Education pupils in Gairloch to pass their Level 1. In 2015 they continue to blaze the trail by attempting the GO Mountain Bike Scheme.